Having a high level of emotional intelligence is more valuable than being the smartest in the class when is comes to comforting others who are hurting. Feel from the heart rather than think from the brain. Listening is more important than talking in efforts of simply filling the awkward space of silence. Here is a valuable list of tips that will assist you on delivering empathy, compassion and comfort to your friends who are grieving and mourning. 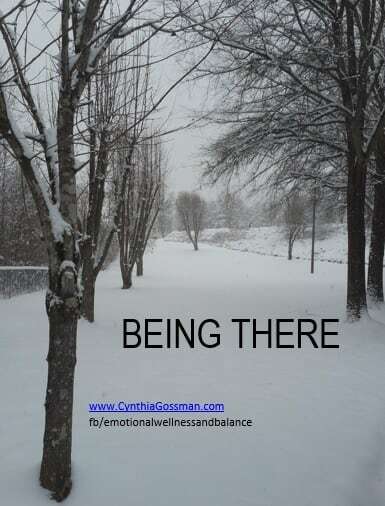 Kudos to you for “being there” for your friend. “I am sorry” makes me feel like I have to say “it’s okay” and obligated to console you. It’s not okay. It won’t be okay for a while and that’s okay. “I know how you feel” hurts me. How could you possibly know how I feel? My loss is unique. My loved one is unique. So my grief is unique. 2) Please say their name – Speaking his/her name and hearing my loved one’s name is comforting to me. It lets me know you remember him/her. Not saying their name is like avoiding the elephant in the room. Talking about my loved one, sharing stories, and speaking of the death are all ways to help me cope and bring me comfort. 3) When I ask “why” and talk about “what if’s”, answers and solutions are not necessarily what I am seeking. Questioning, pondering and contemplation is a way for me to process my grief out loud and begin my mourning. It is not a cue for you to feel you must answer or fix the situation. Sometimes the best thing you can do is sit with me, hold my hand and listen. BE there for moral support while I try to make sense of my loss. 4) Please recognize I am grieving AND mourning. My grief is what I feel inside, the roller coaster of emotions. My mourning is how I can express my emotions on the outside. I may yell and scream, cry, sleep, repeat, and tell my story over and over. Please be patient with me and don’t get sick of me, I am NOT stuck. It’s not only okay for me to feel and express all these emotions, it’s it NECESSARY. 5) Please remember me and don’t avoid me. I may turn you down when you ask to come see me or invite me out. Please continue to ask me more than once to join you for coffee or the movies. I may decline invites. Do not give up on me and avoid me. Eventually I will have the strength and energy to join you. 6) Please acknowledge that I am in a time warp as my world has stopped while your world and everyone else’s is still going. I am currently in slow motion. I am grieving as fast as I can, working on processing the loss as my heart and head are still disconnected. I ask for patience and understanding. 7) Please don’t judge me. You are not living my journey. I understand you are concerned about how I am sleeping and eating. You may be tired of hearing me blubber my story. You may feel I am not where I am supposed to be on my journey. Instead of judging me, and possibly urging me to ‘get over it’ or ‘get on with my life’, practice kindness, be my friend. 8) Please forgive me if I say or do something to hurt you or don’t return phone calls. I am not myself right now. My emotions are all over the place and I can’t think straight. I can be frustrated, pissed, sad, and scared all at once with no warning. My focus and concentration is depleted. I need patience and understanding. I may feel and express harsh emotions. Please do not get angry with me. I may not remember you called, please call me again. 9) Please don’t “SHOULD” on me. Try not to tell me what I “should” be doing or what I “need” to take care of. Be my friend and don’t try to fix me. 10) Please don’t compare my loss. It hurts and diminishes the significance of my loved one and raw emotional circumstance. My loss is all I can see, hear, feel and breathe right now. I don’t have the capability to think about someone else’s losses, stresses, and misfortunes right now. 11) Please don’t say, “Call me if you need anything”. I have little capability to recognize what I need. I have little to no energy to pick up the phone and reach out for help. My head is cluttered and I am not thinking straight most of the time. If you would like to help, bring me a meal or take the kids for the afternoon. Send me a card to let me know you are thinking of me. Leave a voice mail or a text message. Pick up some groceries and toilet paper. Mow my grass. Come sit with me and be my friend. 12) Please don’t say, “At Least”. At least you had ‘X’ amount of years together. At least he/she is in a better place. At least he/she is out of pain. Saying things like this only hurts more and diminishes the significance of my loved one, the love we shared. I wanted more years! The best place was here with me! I do not have the capacity to see or hear the silver lining. I am hurting, I miss my loved one and I want (need) to feel this pain.